It is quite possible to integrate HP QTP i.e. Quick Test Professional and SAP ECATT tool. Also it is possible to call QTP from ECATT and vice-versa. To do all this, all one need is to have SAP addin for QTP. My First web log shows the minimum configuration needed for ECATT and QTP integration. 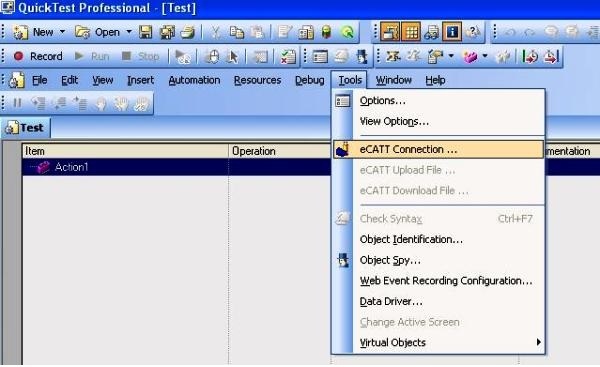 From QTP or from ECATT one can create Quick Test tests, store tests and associated resource files in the ECATT database, edit tests, run tests, and review test results. One can also call and pass values from an ECATT test script to a Quick Test test. Further, one can work with tests stored in ECATT in standalone or integrated mode. The current mode is indicated in the Quick Test title bar. 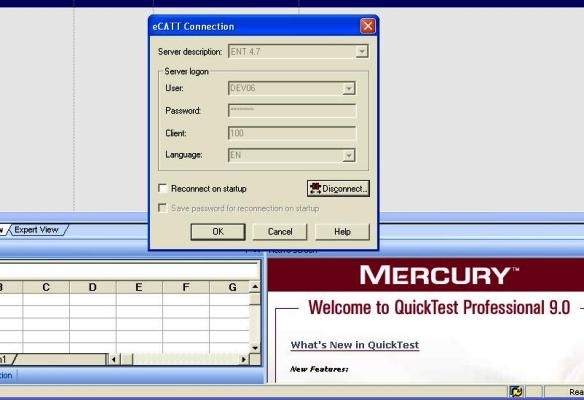 The test is stored in eCATT, but was opened from within the QuickTest interface. The test was opened for editing or running from within the eCATT interface. 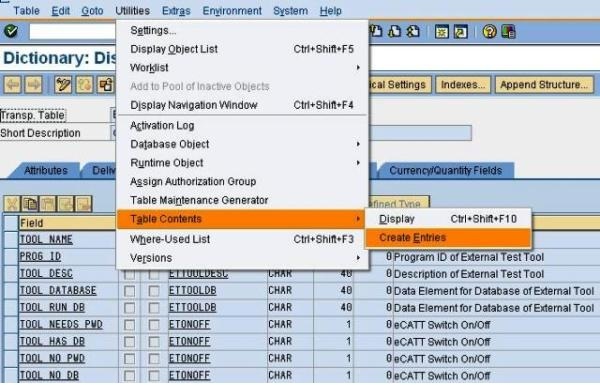 To use the ECATT-Quick Test integration features available with the QuickTest Professional Add-in for SAP Solutions, we must have system administrator privileges and also should install the appropriate support package and configure the ECATT server to work with Quick Test. 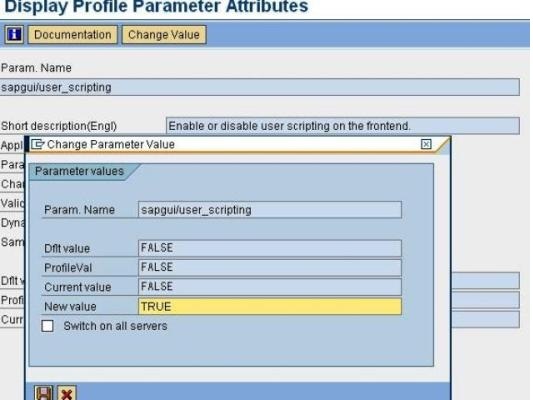 Enter name of profile parameter as “sapgui/user_scripting”.Click display button. If like above the current value is set to FALSE then convert it to TRUE. Save the changes. NOTE : Write TRUE in CAPS. 3. Enabling user scripting at client end. Check the box "enable scripting".If it is not checked. 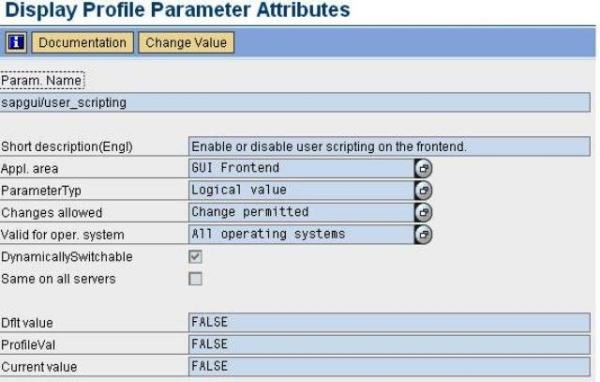 To enable ECATT to communicate with QTP, certain values must be set for the external tool parameters in the ECCUST_ET table. This procedure should be performed only once in the system. To Perform this go to TCODE:- SE11. Enter name ECCUST_ET in the table column and Press display button. Each of these tasks requires special roles or profiles. 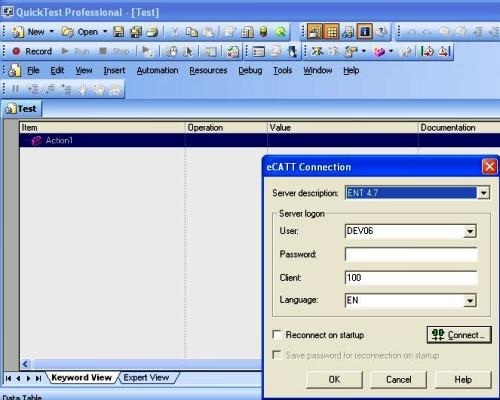 Before one starts working with the QuickTest-eCATT integration, one should confirm with system administrator that the user name which is assigned to one has the necessary roles or profiles to perform the above tasks. 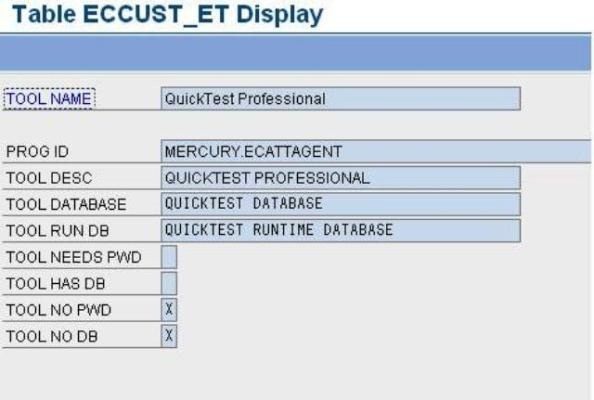 For example, to work with QuickTest in standalone mode, one must be assigned the role S_ECET or the profile SAP_ECET in the eCATT system. 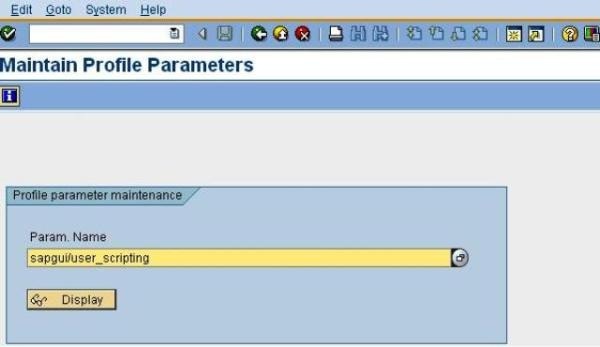 After creating tests for SAP application, one can store and manage them in a test management tool. Depending on needs, one may choose to use HP Interactive’s Quality Center, or SAP eCATT. 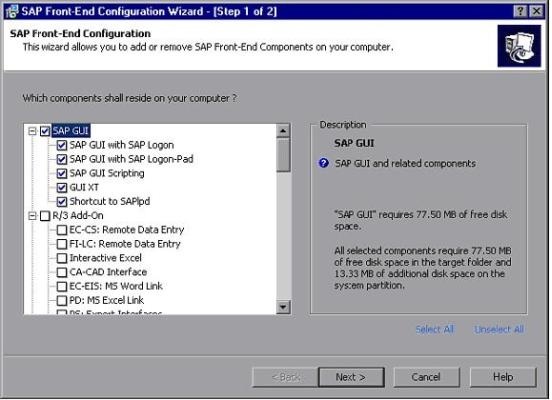 Please refer first weblog which shows minimum configuration needed for QTP and ECATT integration. 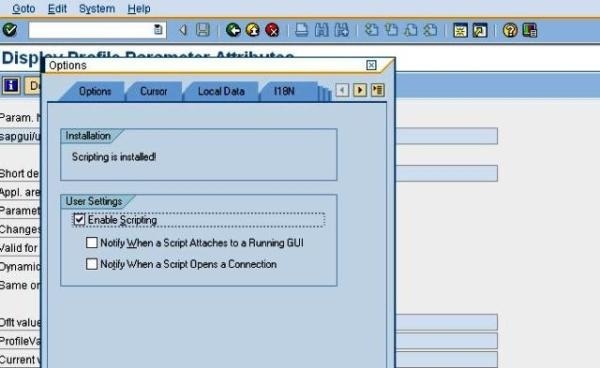 Step 2: Provide the server details of SAP on which the script needs to be created. Click Ok. Step 3: Click record button in QTP.